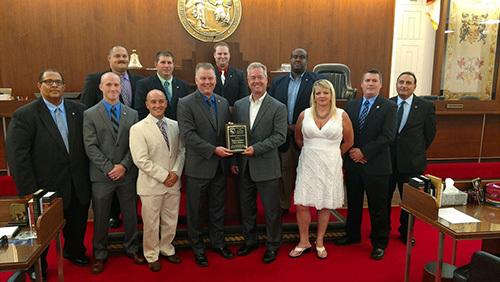 The North Carolina Police Benevolent Association recently presented their 'Legislative Excellence' award to several legislators for their unwavering support for law enforcement and the values of the PBA. 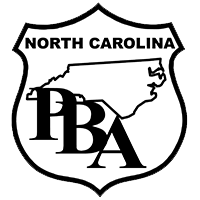 Speaker of the House Tim Moore, Representative Chris Malone, Rep. Darren Jackson, Rep. Nelson Dollar, Rep. Jonathan Jordan, Rep. Debra Conrad, and Rep. Billy Richardson have been long time supporters of the PBA. Representative Donna White and Representative Cynthia Ball first ran for the legislature in 2016 and won their respective races. Even though they entered the long session as freshman they worked tirelessly to support PBA legislation. The PBA is proud of these legislators and their efforts. We are proud to call them our friends! 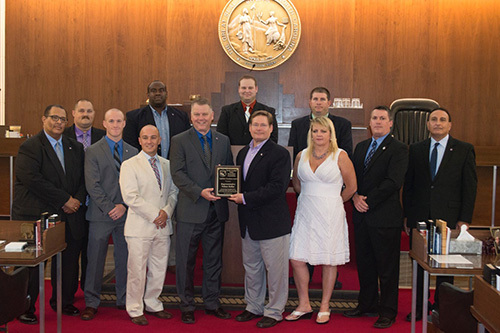 "Receiving the PBA "Legislative Excellence" award was humbling, and I was very appreciative. Every police officer out there shows a rare and courageous commitment to serve their communities on a daily basis; something bigger than themselves. I only hope, in my small way, to say thank you by following their example of service." 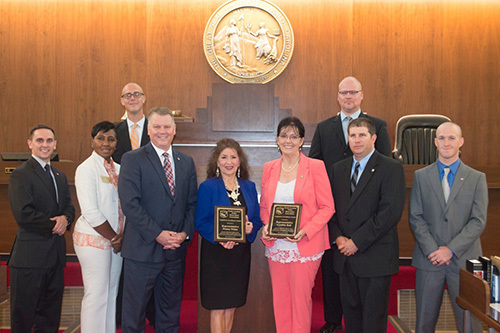 "For my past two terms in the NC House, it has been an honor to work with the PBA on legislative issues important to the men and women who belong to this organization. We respect our law enforcement officers for the critical service they give to our communities. 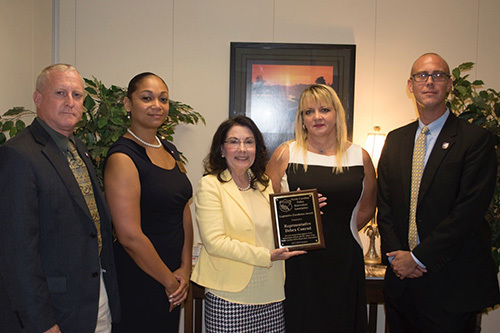 I thank each member for my 'Legislative Excellence' award which is proudly displayed in my Raleigh office. My door is always open to listen to your concerns in the future." "It's an incredibly humbling occasion when your heroes tell you they respect the work you do for them. It's not the reason any of us do the work, but it is a rare and priceless honor when it happens. All my life, including my brief legislative career, I have been in awe of our law enforcement folks on the front line defending our citizens and our way of life. 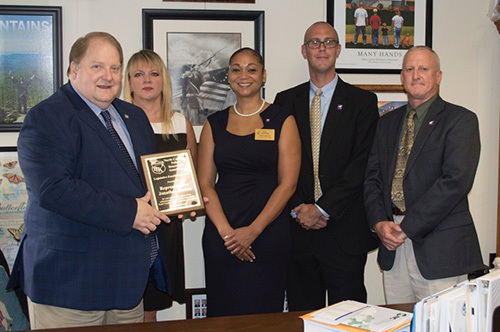 Receiving the PBA 'Legislative Excellence' award is a thrilling honor because it means that those whom I hold in the in the highest regard recognize my support." "Receiving this award was a great honor and very humbling. I have worked with the PBA for thirty years to advance the respect and professionalism of our wonderful officers. This award is one that I will cherish." "There will never be another award that will make me any more proud as the 'Legislative Excellence' award from the PBA. I am so honored to have my efforts recognized on behalf of the officers in the PBA; who serve and sacrifice everyday for the citizens of North Carolina. Please know that I will always work hard to represent you." “It is an honor to be recognized as a friend of law enforcement by the men and women who put their lives on the line every day to keep our communities safe." 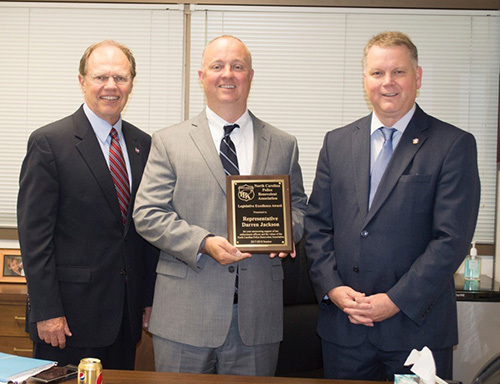 "Receiving the 'Legislative Excellence' award from the PBA is an honor; more so the opportunity to work with dedicated law enforcement officers from across the State to improve working conditions, increase benefits, and honor your service to our community." 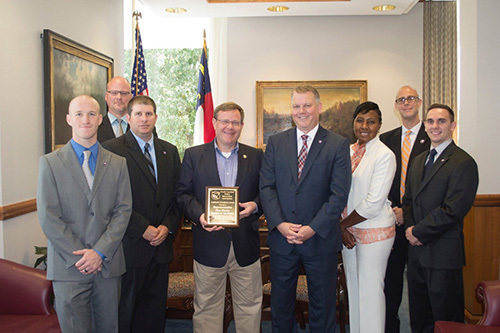 "The men and women who serve in law enforcement throughout North Carolina have made a career in public service. It is our responsibility as legislators to ensure they have the tools and resources at their disposal to keep our communities as safe as possible. 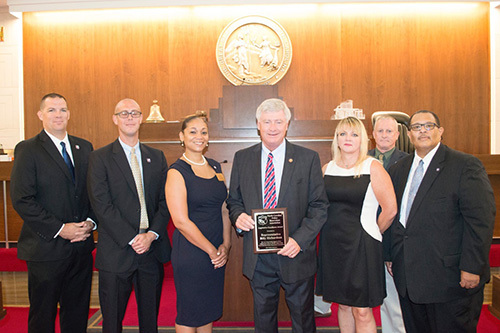 It is with a deep sense of gratitude that I was honored with the North Carolina Police Benevolent Association Legislative Excellence award."